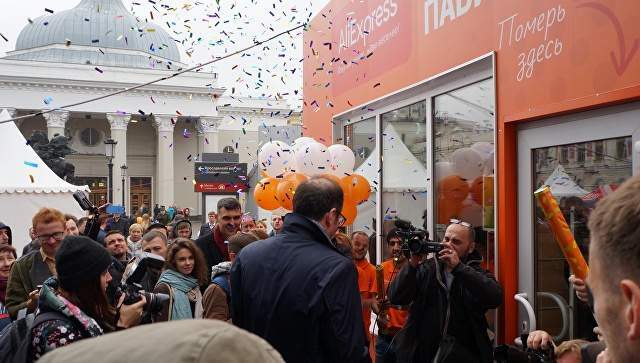 The very first show room of AliExpress company was opened on 20th of September at the Leningradsky railway station. The project was prepared and realised by joint efforts of Alibaba Group and the Directorate of the Railway Stations JSC "RZD". Show room is covering the space of 100 sq.m., where variety of different products are displayed: from clothes to shoes, electronics and jeweleries. This project is unique for the world practice. 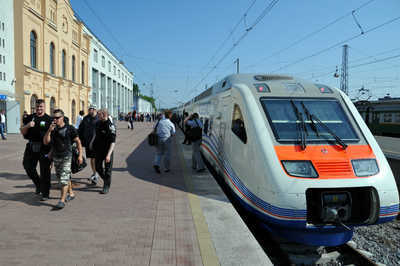 Prior to the grand opening, the press-conference was held in the conference hall of the Leningradskiy railway station. The associate director of the Directorate of the Railway Stations JSC "RZD" Kirill Sokolov and Development Director of AliExpress in Russia and CIS Mark Zavadskiy have participated in the conference. The representatives from both companies has answered the questions regarding the stages of the project realization, and commented on the plans for development in other Russian regions. For the 4th anniversary of the Allegro project, a duty-free shop was opened at the Finlyandsky Railway Station in St. Petersburg. Today it is Europe's first duty-free at a railway station. The major preparation works for the XXIX Winter Universiade Krasnoyarsk 2019 has been completed at the Railway Station. “Smart railway”, and “smart” passenger notification systems, as well as the entrance control system, which works in coherence with the requirements of the transportation security have been implemented as part of the technological renovation. 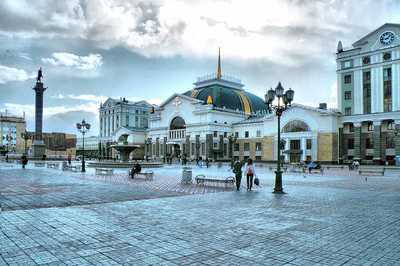 Russian Railways has been updating and renovated their train stations throughout the country, and next one list is the station in Nizhny Novgorod, one of Russia's largest cities. 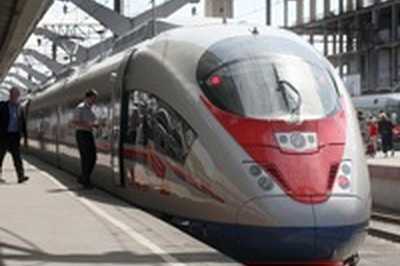 In response to the numerous requests of passengers, Russian Railways continue to increase the sales opening time for the long-distance domestic trains. Starting from the 1st of April, the sales opening day is increased up to 120 days in advance for several popular routes.